God sent the angels to help you in your times of need. If you require healing of any kind then join us for this powerful telecourse. 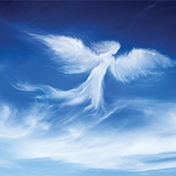 Healing can take place on many levels and the angels can help you with all aspects of healing. Learn how you can work with the healing angels and Archangel Raphael and Zadkiel to receive physical, emotional, relationship, addiction and financial healing. Healing means returning to a state of wholeness on every level; mind, body and spirit and allowing the universe to provide you with your divine birthright which is a life of joy, peace, love, fulfillment and prosperity. Receive the prayers you need to initiate healing and experience a powerful meditation where you will co-create with the divine to receive your personal miracle. I just wanted to let you know that the Soul Coaching was a wonderful, positive experience for me. I truly feel like something has shifted. I feel very, very good and I am also remembering the things you said to me from your heart, regarding dealing with issues, it takes time for true self-acceptance, etc. that has really helped me as well. So, I thank you with so much love and gratitude for everything you have done for me. If you ever for one second doubt that you are living your purpose just give me a call. You have been a wonderful teacher to me in so many ways and you have truly helped my healing process tremendously. You said, “you wanted to help people’s light shine” that is what you have done for me. I am a changed person! Nothing feels the same and its all good. 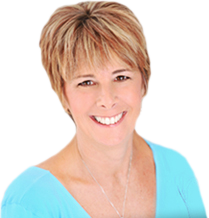 Karen Paolino is a popular and exciting expo speaker who has reliably drawn crowds well over 100 at the Natural Living Expo in Sturbridge for the past 3 years. With her enthusiasm and expertise on the topics of guides, loved ones and angels, Karen presents a polished and riveting workshop that leaves participants satisfied and inspired. Due to our confidence and previous years of positive audience response with Karen, this year we are featuring her workshop with a 2-hour time slot and paid admission. You can count on Karen Paolino to successfully fill your metaphysical speaking needs. Karen is a popular and exciting speaker who has reliably drawn crowds well over 100 at the Natural Living Expo for the past 3 years. With her enthusiasm and expertise on the topics of guides, loved ones, and angels, she presents a polished and riveting workshop that leaves participants satisfied and inspired. Thank you so much for the inspiring messages. I not only listened to my own awesome messages but found a great deal of information to help me in moving forward from other peoples messages. Had I not gone to the workshop today I may not have had this information to assist me in seeing what I must do for the highest and best of all! Thank you from the bottom of my heart. You made more sense of my life in an hour and a half than I ever would’ve thought possible. Your intuitive insights were spot on with me, and I’m so grateful we connected when we did. I’m happy to tell you that I’ve shed 21 pounds and today marks exactly one month since I saw you. I keep saying it has been effortless. I seem to be doing automatically what I used to have to WORK at, and would resent, feeling like a martyr, deprived of the “comfort” food could supply.